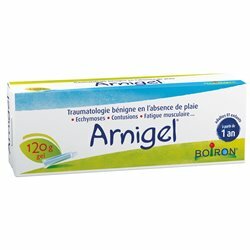 ARNIGEL GEL 45 G HOMEOPATHY Boiron is a homeopathic medicine traditionally used in the local adjunctive therapy in mild trauma in the absence of wound (bruises, contusions, muscle fatigue ...) in adults and children from one year. Apply as soon as possible a thin layer ARNIGEL the painful area light massage until completely absorbed. Repeat the application 1-2 times a day. Apply as soon as possible a thin layer ARNIGEL the painful area light massage until completely absorbed. Reapply once or twice a day. If you feel that the effect of freezing ARNIGEL is too strong or too weak, talk to your doctor or pharmacist. Space out soon improve and stop taken from the symptoms disappear. Maximum 7 days treatment. 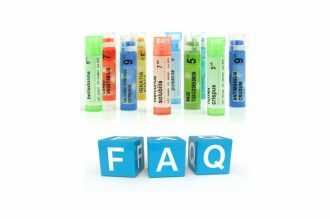 In the absence of experimental and clinical data, and as a precaution, the use of this drug should be avoided during pregnancy and lactation. 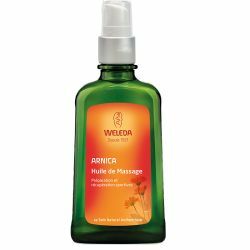 In case of hypersensitivity to Arnica or any of the excipients: Do not use on mucous membranes, eyes, oozing dermatitis, infected lesion or wound. 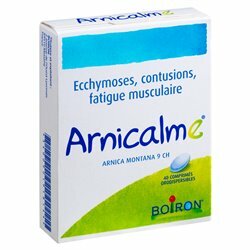 Risk of dermatitis for sensitive people with Arnica. Due to the presence of alcohol, frequent applications to the skin may cause irritation and dryness of the skin. If you notice any side effects not listed in this leaflet, or if the side effects gets serious, please tell your doctor or pharmacist. Keep the container tightly closed tube. Use of this medicine is not recommended in patients with galactose intolerance, the Lapp lactase deficit or malabsorption syndrome glucose or galactose (rare hereditary). 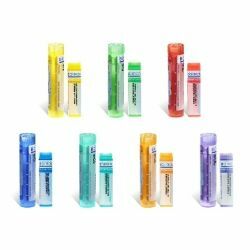 Faced with redness, itching and vesicles , homeopathic remedies can provide solutions. Thanks to the wide range of remedies it offers, homeopathy helps to alleviate these dermatological disorders while limiting the risk of recurrence.